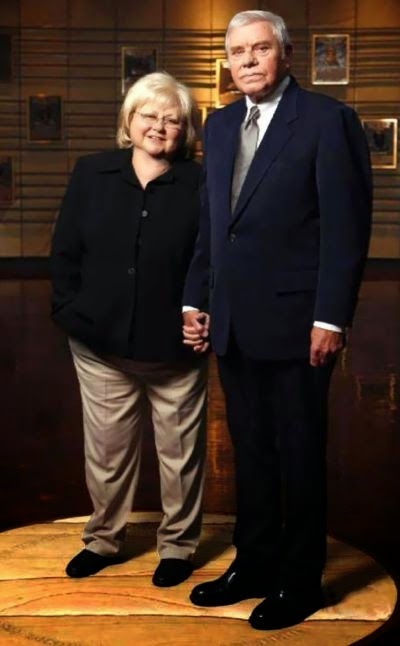 Dixie Hall, wife of legendary songwriter Tom T. Hall, passed away on Friday, January 16, 2015 at the age of 80. She was gravely ill for the past year. All the while trying to do business as long as possible with her bluegrass music publishing and recording company, Blue Circle Music. Miss Dixie was a major force in country and bluegrass music, yet few people know of her music business history. She moved to the USA from England in 1961, when she accepted a job working for Don Pierce of the Starday Records company. At one point in her storied life, Miss Dixie lived with Maybelle Carter at the Carter Homestead where the two of them wrote songs together. Her background story reads like a musical fairytale. If you were to ask almost anyone in bluegrass music they would tell you Dixie and Tom T are two of the most compassionate and generous human beings in the world. Many, many artists and fans have been befriended by the Halls. I will stop writing here, as I have been away and only just now learned of the sad news. I would like to look back at my own photos and personal reminders of Dixie, and her mate Tom T Hall. I would kindly suggest you read an excellent account of Miss Dixie's life and her many contributions to the bluegrass music world and more in an article by Peter Cooper at this link for The Tennessean newspaper. "Running out of time here but it's your earth, and your music. Please save it and give generously. God bless you forevermore. I love you." The world desperately needs more people like Miss Dixie Hall.